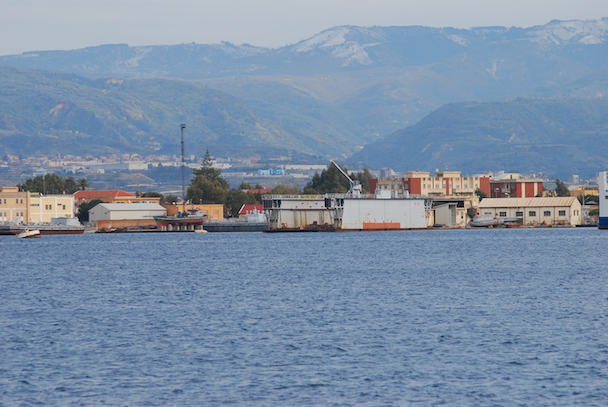 The Lazzaretto of Messina (now disappeared) was located in the harbor of the city, actually it is locate in "zona falcata" of Messina. 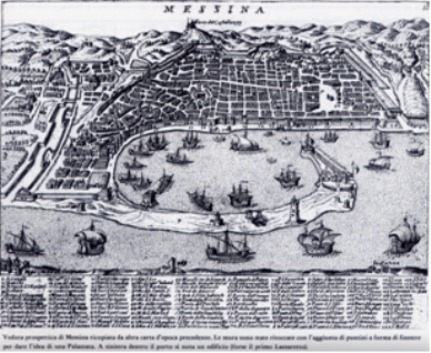 The building of a ‘lazzaretto’, or leper hospital, in Messina arose from the necessity for a hospital for the treatment of contagious diseases (even though the epidemiology of these diseases was still not very clear). It did not have the qualities of a general hospital, but was built with the precise purpose of creating a place for patients with contagious diseases, and also for their belongings, in order to limit the spread of diseases and prevent epidemics. 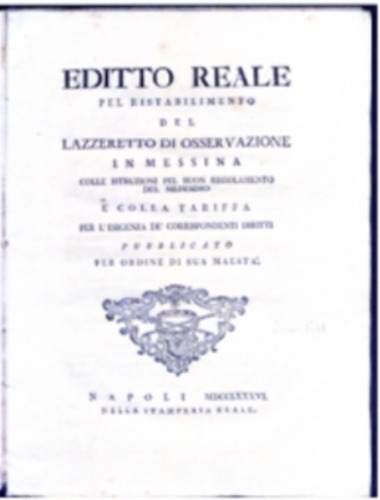 Seen in the context of general health care, the ‘lazzaretto’ was a place where patients suffering from diseases of unknown origin (plague, cholera, leprosy), but which were highly contagious and which had high mortality rates, could be admitted. The first site for the Messina ‘lazzaretto’ was established by the Port Corporation around the year 1371, on an island just off the port. The following year, thanks to the work of certain Senators, it became a sizeable collection of lodging-houses for the sick, for convalescents and for staff, and there was even an office and a chapel. It was divided into ‘pure’ areas, allocated to general services, and ‘impure’ areas, where the sick were hospitalized or where those suspected of having contagious diseases were placed in quarantine. ‘Quarantine’, or what we know today as ‘isolation’, was already seen as an important phase in the prevention of infectious diseases. The term ‘forty days’ was linked to the medieval belief that this period of time was considered as the difference between acute diseases and chronic diseases. The chosen area was that of San Raineri, a sandy strip of land (there had, in fact, been a collection of shacks for those with the plague, and a cemetery for plague victims in the area since Arab times) which is the actual sickle-shaped peninsula of the port of Messina: in fact, the hospital should have been built outside the city centre. Also, ‘in the building of the hospital, they had to take into account the direction of the winds: according to the theory of the humours as far as diseases were concerned, diseases were caused by the putrefaction of the humours and therefore, the leper hospital was not to be exposed to the action of the winds coming from the West, because these winds, defined as putrid, could easily spread the contagion’ - (likewise, in Milazzo during the plague epidemic of 1565, and again in 1575, the Grotta Polifemo, a cave found on the west coast of the peninsula, was used as a ‘lazzaretto’ for the same reasons). 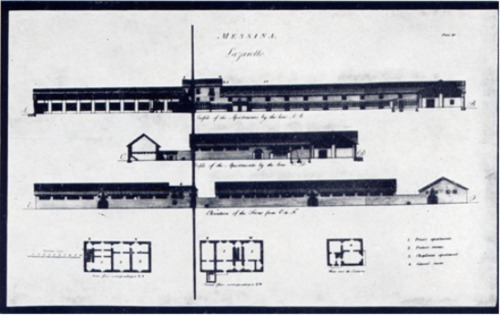 Although there was a proposal to create a purging or treatment hospital alongside the already existing observation hospital, which undoubtedly would have been more complex, the hospital in Messina remained a simple observation hospital. 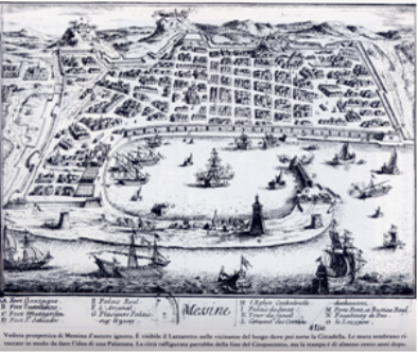 During the period from the end of the 17th century to 1743 (a year in which there was a persistent epidemic of bubonic plague, perhaps the last to occur in Messina), it can be assumed that the hospital significantly helped to avert the recurrence of epidemics in the city, at least relative to the period mentioned above. 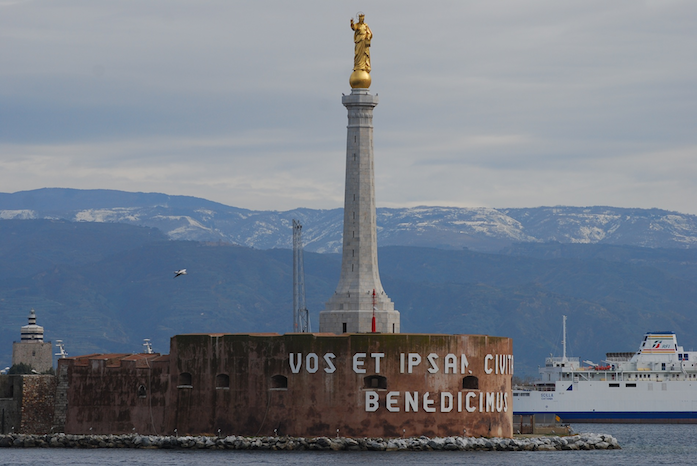 1371 - First site of the ‘lazzaretto’, built by the “Port Corporation”, in the sickle-shaped harbour area. 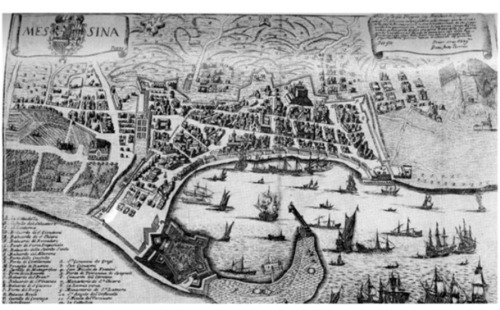 Prints of Messina at the end of the 16th century, dating from 1600: in both of which we can see the ‘Lazzaretto’ to the south of the ‘lanterna’, which subsequently became the Cittadella. 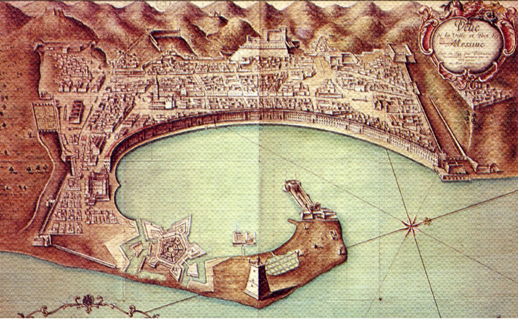 1622 - Accredited building of the Lazzaretto in San Raineri by Emanuele Filiberto of Savoia, Viceroy of Sicily until 1624 (the structure in the harbour area was connected to the mainland by a jetty). 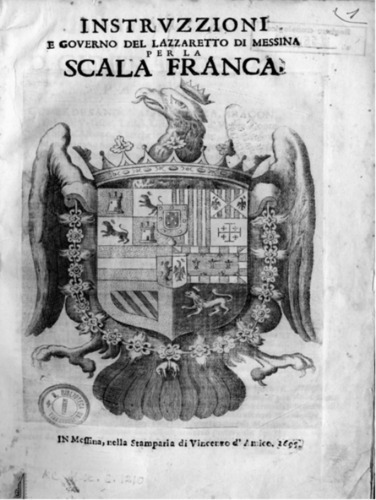 Frontispiece of the text published in 1695 during the opening of the “ Scola Franca”, in which were deleted “ Instruzzioni” about the Messina ‘lazzaretto’. The author was Don Giovanni Francesco Pacero, Duke of Uzeda. 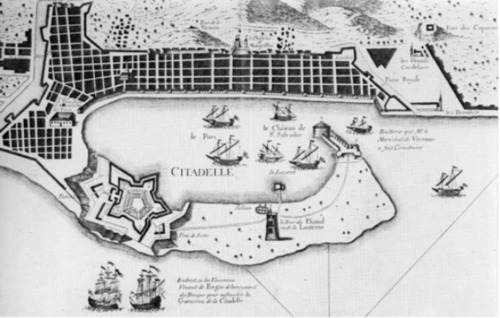 1695 - Building of the ‘lazzaretto’ by the Viceroy of Uzada because the previous ‘lazzaretto’ had suffered considerable damage after the anti-Spanish uprising in 1674. The new hospital was built to the north of the previous one. Ground plan of the Messina ‘lazzaretto’ offered by Howard, an English philanthropist from the XVIII century, and who made a study of hospitals for contagious diseases throughout Europe and Asia. 1743 - Building of the ‘lazzeretto’ with a massive structure in brick, which conformed to the laws for the building hospital structures of the period (during the plague of 1743, the Health Magistrate established three different ‘lazzaretti’ in Messina). 1751 – Intervention by the Viceroy D. Eustachio of Laviefuille and the ‘lazzaretto’ acquired self-government. The hospital structure was restored after the anti-Spanish uprising and after an earthquake in 1783, when it had been partially demolished. 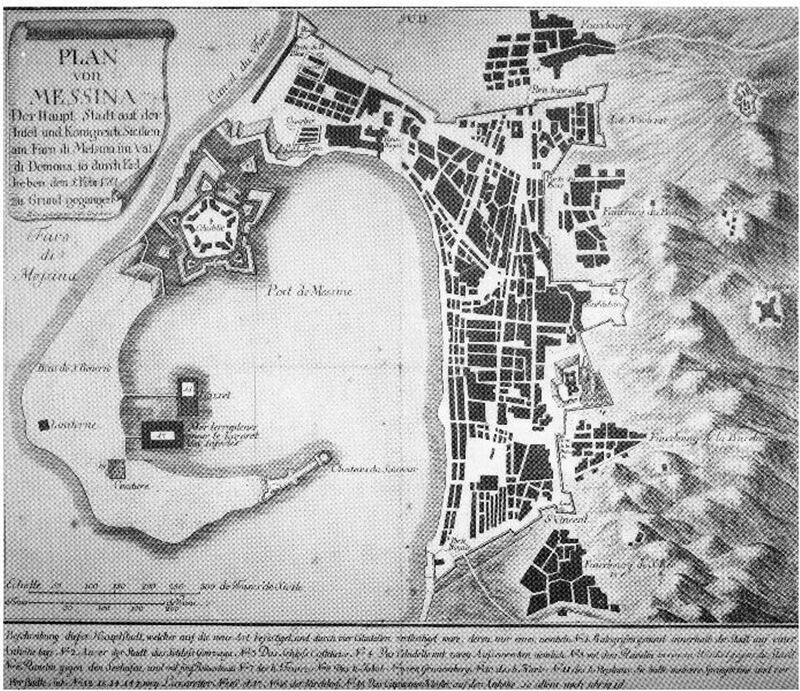 Antonino Ioli, 1760, oil painting that shows the harbour of Messina. In the second picture there is a detail: ‘il Lazzaretto’. Plan of Messina after the earthquake of 1783. 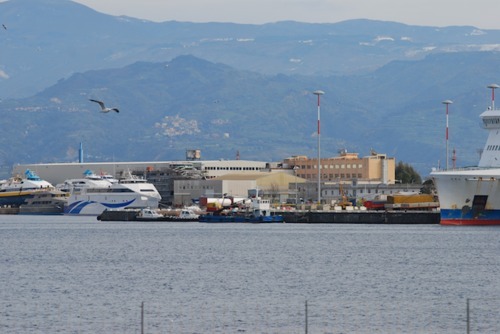 1786 - With the Royal Edict of 1786 a new ‘lazzaretto’ was established and was given particular powers for health delegation: it also had responsibilities in a territory extending from Patti to Catania. The Edict was made up of two parts which contain respectively, 8 and 17 chapters, and which can be seen as a model for health organization, both in the relationship between the hospital and the outside world, as well as for all that concerns the internal running of the hospital. 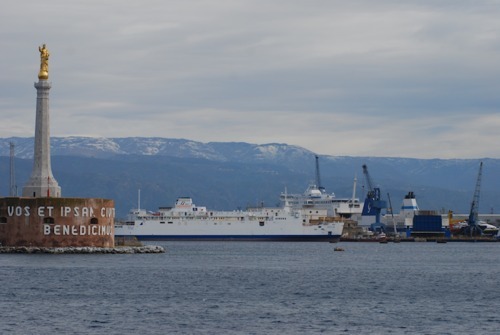 The edict represents all the laws for the ‘lazzaretto’ in Messina and can be seen as a model for health organization, both for the relationship between the ‘lazzaretto’ and the outside world as well as for what happened inside the ‘Lazzaretto’. Map of Messina at the end of XVII century ( Riccobono 1988 ). Print of Don Antonio Parrino ( Riccobono 1988 ). 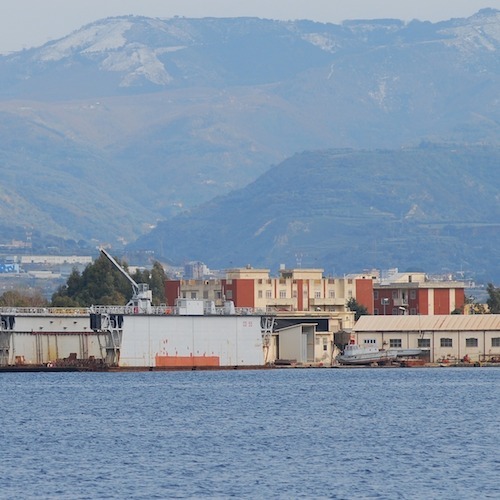 In 1882, having lost its principal function, the ‘lazzaretto’ became a warehouse for the storage of coal and oil. 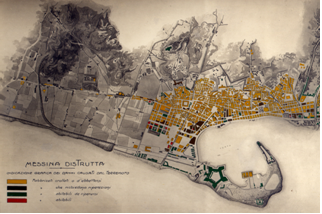 On 6th February 1889 a new town planning law for Messina was approved, which allowed for the urban development of the city towards the south, and consequently, in part of the area where the ‘lazzaretto’ was situated, work was started on the construction of a dry dock. The earthquake of 1908 partially destroyed the hospital buildings and the remaining parts were turned into public offices - the Town Hall and Prefecture. Between 1924 and 1937, with the reconstruction of the harbour, and subsequently, after the Second World War, the ‘lazzaretto’ of Messina gradually disappeared. 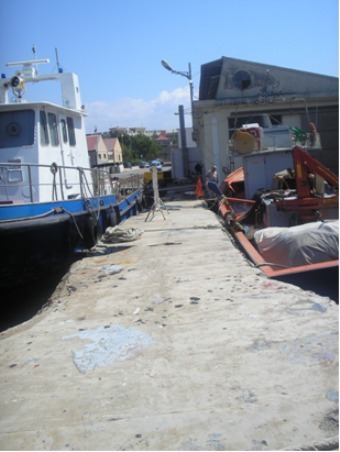 All that can be seen of it today is the jetty. 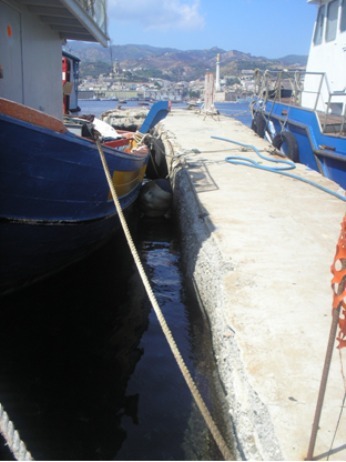 Two different images of the jetty, historical evidence of the mooring place for ships undergoing quarantine in the area of the ‘lazzaretto’. The last seven photos, taken from the promenade of the harbor, portray Messina (and particularly the extreme point of the Crescent-Shaped area, the Madonnina) as currently it occurs in the area where the Lazzaretto was born: by the time, blocks of flats, factories and private fenced areas built, many of them completely abandonment. Gigante E.- Truscello M. - "Sulla storia del Lazzaretto di Messina" - Igiene e società pubblica, 1976. Ioli A.- "La città di Messina e le epidemie di peste", I e II parte, AURA ANTICA, nn. 2 e 3, 2007 pp. 125. 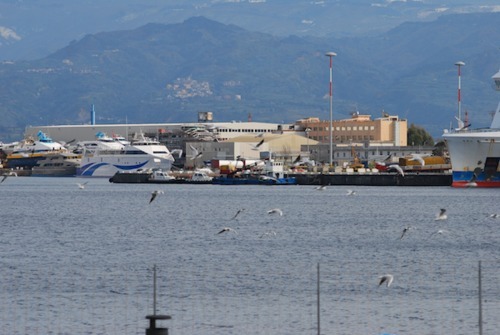 Ioli A.- "Lazzaretto di Messina, un istituto di sanità scomparso"- Armando Siciliano Editore, 2009. Ioli A.- "Storia della medicina"- Armando Siciliano Editore, 2007 pp. 275. 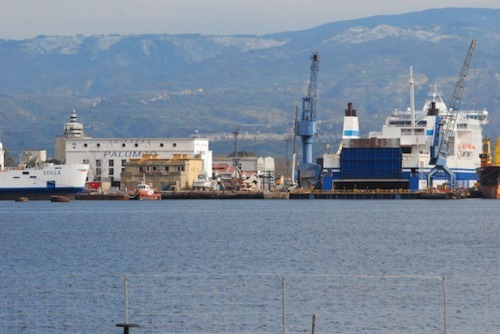 Riccobono F.- Berdar A.- La Fauci C. - "La Real Cittadella di Messina" - Edas, Messina 1988.